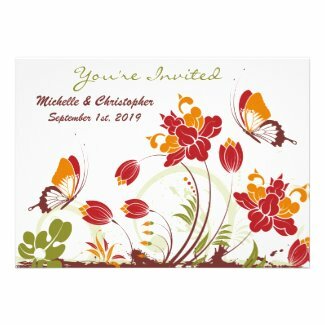 Take a look at this unique collection of Butterfly wedding invitations. Designs range from vintage to modern for both formal and casual events. There are also a variety of color combinations perfect for weddings held during the spring, summer and autumn. Select any invitation below to view additional details and personalize. Take a look at the following sites for a great selection of beautiful Butterfly wedding supplies.